Palmer's Cocoa Butter Formula Bottom Butter is a unique nappy rash cream containing pure Cocoa Butter, Vitamin A, and Pro Vitamin B5 (Panthenol) soothes and cares for baby's tender skin. 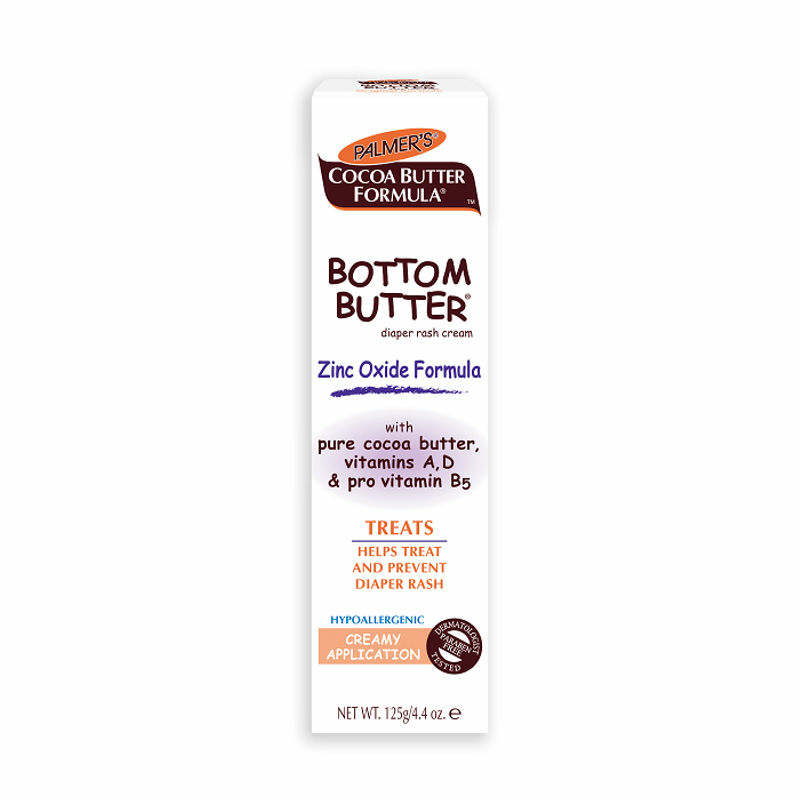 Cocoa Butter soothes irritated skin, while Starch works as a drying agent. Palmer's provides a protective moisture-proof barrier that keeps wetness away from baby's sensitive skin. Spreads easily. No messy clean up.